My wife and I have been married for over a decade. During our honeymoon in 2001, we went to Los Angeles and among other things visited the Sunset strip and Hollywood Boulevard - whose most outstanding feature was its series of depressingly shabby storefronts alternated with some of the fanciest locations we had ever seen. As we passed through what I now know to have been a central hub of Scientology, a pair of guys in suits asked my wife and I if we wanted to take a "stress test." I didn't know what to say, but my wife didn't even miss a beat: "I don't need a test to know that I'm stressed!" I thought it was funny, but I had no idea who these guys were until much later. If only I'd known at the time that I'd missed my chance to join an alien cult. Darn. 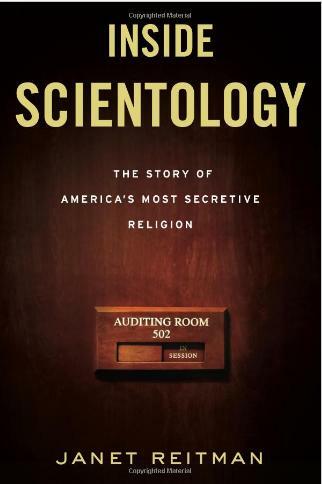 Janet Reitman's new book, Inside Scientology: The Story of America's Most Secretive Religion is an essential read. I don't qualify this statement. My guess is that it may be decades before a more thorough history of this mysterious and enigmatic organization will ever be written. Filled with interviews with dozens of individuals - many of whom have never spoken out before, Reitman takes the reader on a nearly unbelievable journey. Beginning back in the 30s and following the pulp fiction writer L. Ron Hubbard, we are taken on a tour of the man's life that makes no pretense of admiration for the man. From his bigamous marriage to his life spent at sea being served by boys and girls in hot pants, there is no way you can read this book and come away thinking that Hubbard was anything but a highly intelligent and creative scam artist. "Apparently they started doing all these charts and crap for him. Elvis came out and said, 'F*** those people! There's no way I'll ever get involved with that son-of-a-bit**in' group. All they want is my money.'" Though Lipton stayed in the group for a number of years, Presley, said Fike, "stayed away from Scientology like it was a cobra." Although it is tempting to read up on the strange theology and mock the pathetic and unbelievably hilarious Zenu story that all OT3s are told only after spending thousands of dollars on auditing to get to that point of full disclosure, the fact is this book is a sad testament to man's need for redemption. I don't want to forcibly turn this book into a matter of Christian apologetics, but if there is one thing that rings through on every single page it is that Scientology seizes upon mankind's need for forgiveness and cleansing from sin. 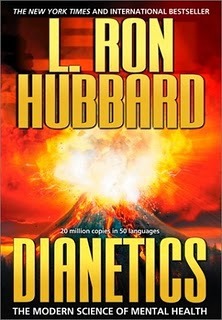 All of the Scientology enterprise from the auditing to the life of devotion in organizations like Sea Org (think of it as a monastary for Scientologists) are paths and methods for all of these individuals to find a way to escape from the things they've done, to repair their damaged souls, and to find that ever elusive peace of conscience. Page after page, anecdote after anecdote, we read in this book about people who are desperate to find escape from their past to find some sort of redemption. The problem is that, like ALL manmade religions, Scientology teaches that each of us is responsible to remove our own ills and that only we can bring rectitude to our damaged lives. In this respect, Scientology fits right alongside all the other religions, which teach that man is basically good, he just needs to cleanse himself. The tale of Lisa McPherson, which occupies a large chunk of the book, is a fitting illustration of this as she is repeatedly told that if only she did this and that and certain forms of auditing and ascetic self denial - if only she would do all of these things, then she would find peace. In reality, she was a very sick woman whose need for salvation drove her to utter despair until she had a quite public meltdown in the middle of traffic. Her many sexual partners and years of drug abuse seemed to follow her from place to place, and no amount of auditing could remove the stain of sin. To my mind, this woman was forced to carry the weight of her own sin by a religion that told her that only she could cleanse herself. Eventually the weight was too heavy and she collapsed under the burden of it. Tragically, as well, she suffered a great deal physically at the hands of a group who had no idea how to care for a truly sick person until she eventually died. Even then, the narrative fascinatingly demonstrates how the organization suppressed her autopsy report, and managed to completely exhonorate themselves of her death in the eyes of the law. Tom Cruise, for those interested, does occupy a fascinating branch of the narrative, and I couldn't help but wonder after reading the chapter on him in the book, whether the group might actually have some seriously nasty dirt on him and if he might not be stumping for them because he's been blackmailed. It is evidently a regular practice that any sins that are confessed during auditing sessions are not erased, but rather, recorded for future use (what a contrast to Christianity!). Upon hearing the story of Zenu for the first time, Cruise "freaked out and was like, What the f*** is this science fiction s***?" only to disappear for years. 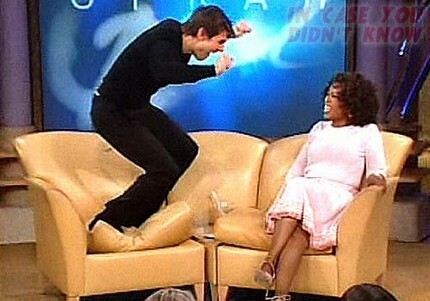 He then later re-emerged as the biggest advocate for Scientology that the world had ever seen, even damaging his career in the process. Your guess is as good as mine, but Reitman is unable to narratively account for the renewed enthusiasm in the wake of his films Vanilla Sky and War of the Worlds. In the end, the book left me with the impression that Scientology is not growing and it is not becoming more popular, but that it is, rather, a highly culturally stigmatized group that is merely treading water and using its second and third generation Scientologists to keep itself afloat. Splinter groups have recently emerged who claim to be renewing Hubbard's original teachings in contrast to the current official church. Reitman at one point likens this splintering to the Great Schism of East/West (and implies the Reformation as well) of Christianity that certainly had its share of fractures and splits. Will Scientology even be around in fifty years? Probably, but it will hopefully be a much smaller, neutered version of what it once was. With the internet and the ability to disseminate the Zenu story as well as the stories of disaffected members, it is much easier today for people to know what they are getting themselves into when they find themselves initially drawn to Scientology. Many of us may never actually encounter Scientologists (I certainly haven't seen any personally for over ten years). But just to be safe, the next time somebody offers to give you a stress test, please be ready with something clever.